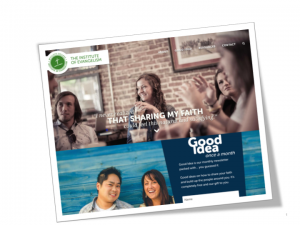 When Wycliffe College, a member college of the University of Toronto wanted to redevelop the web site of its Institute of Evangelism, Digital Message was engaged to advise on the Institute’s digital communications strategy, and interface with a contract web designer. Digital Message continues to provide ongoing advice and maintenance of the web site platform and infrastructure. © 2019 Digital Message All Rights Reserved.